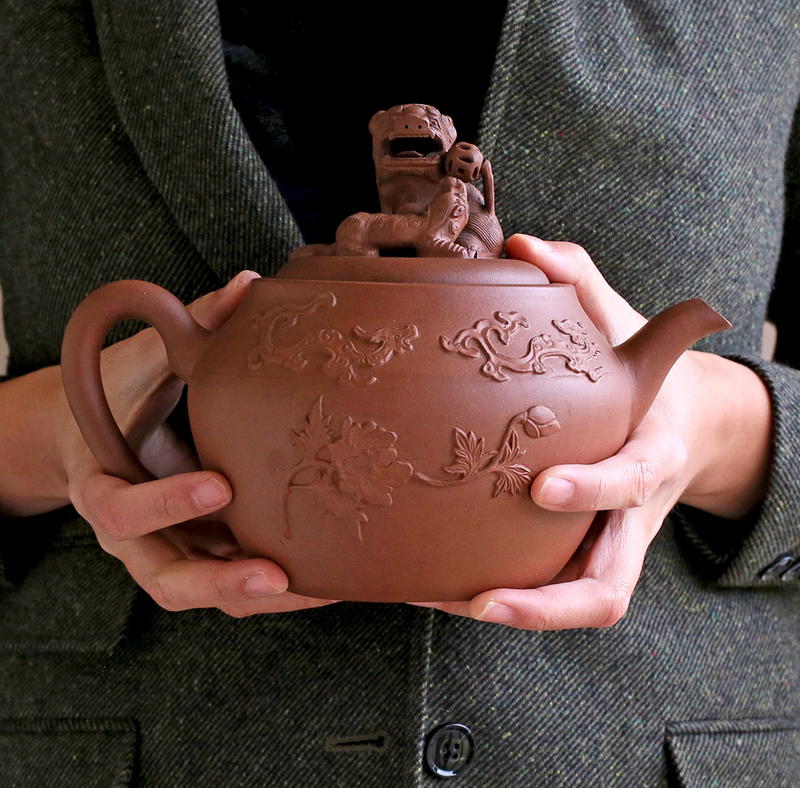 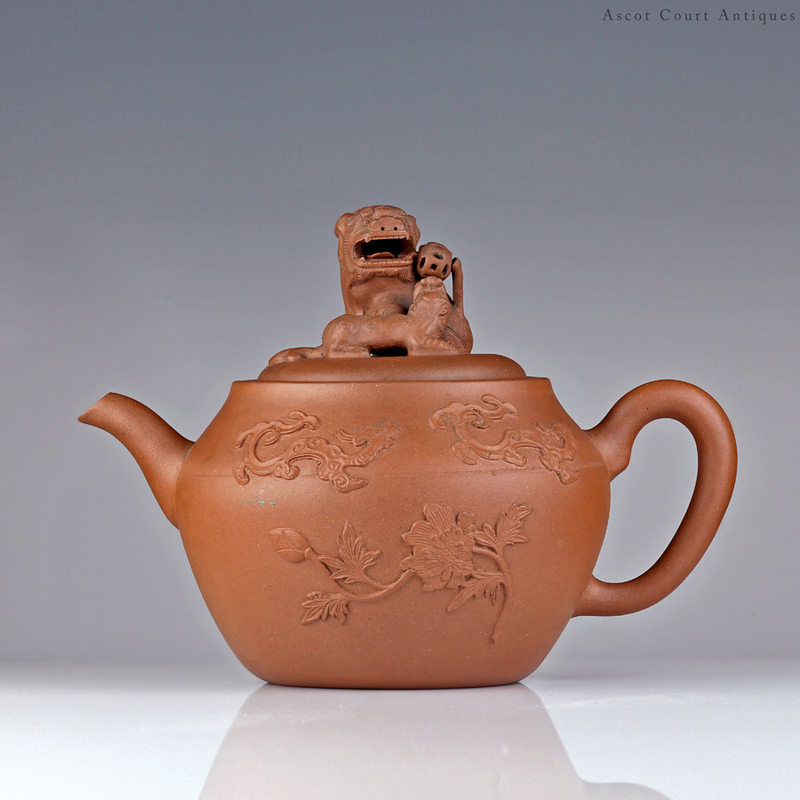 A Kangxi period Yixing zisha teapot, of a modified globe form with tapered walls bulging at 2/3 of the body, which is decorated with molded appliqué floral sprays and qilong dragons. 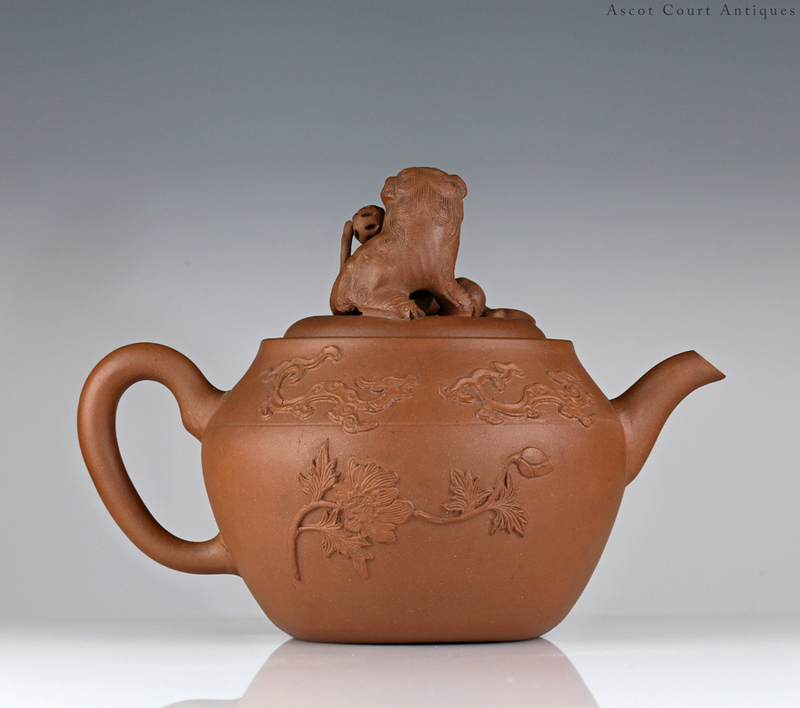 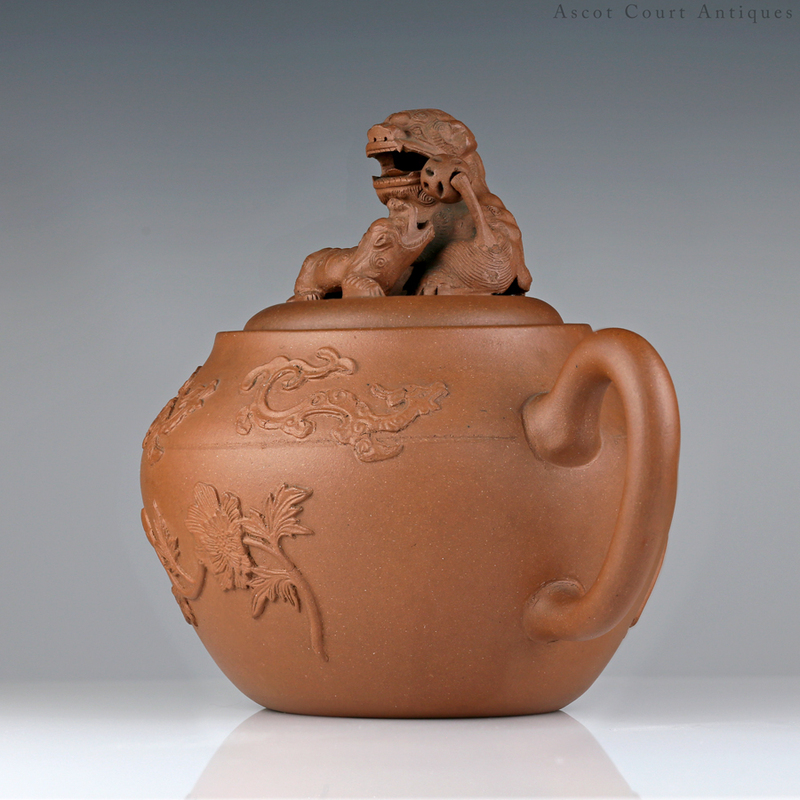 The curving lid with a recessed edge features a detailed figural group of a foo lion and cub playing with a suspended ball. 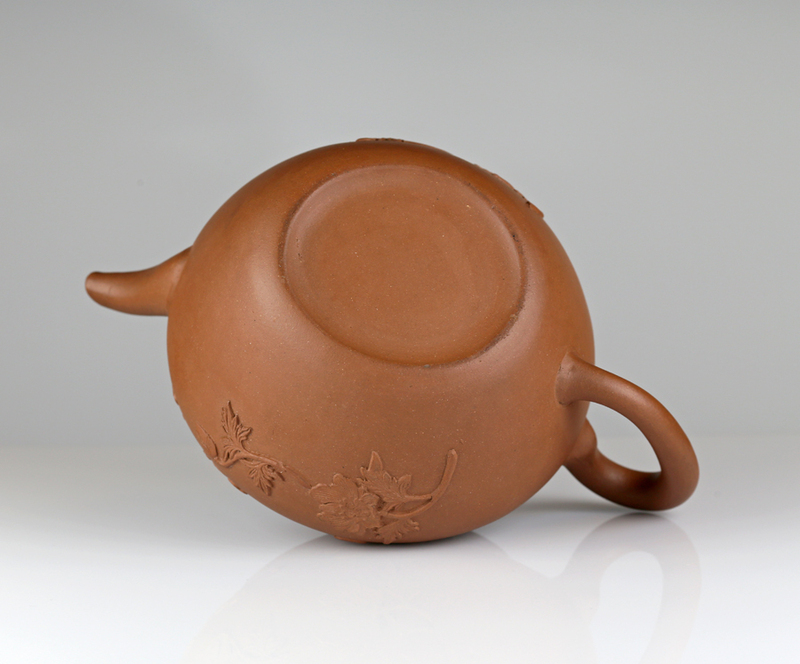 Amazingly, the ball can freely move. 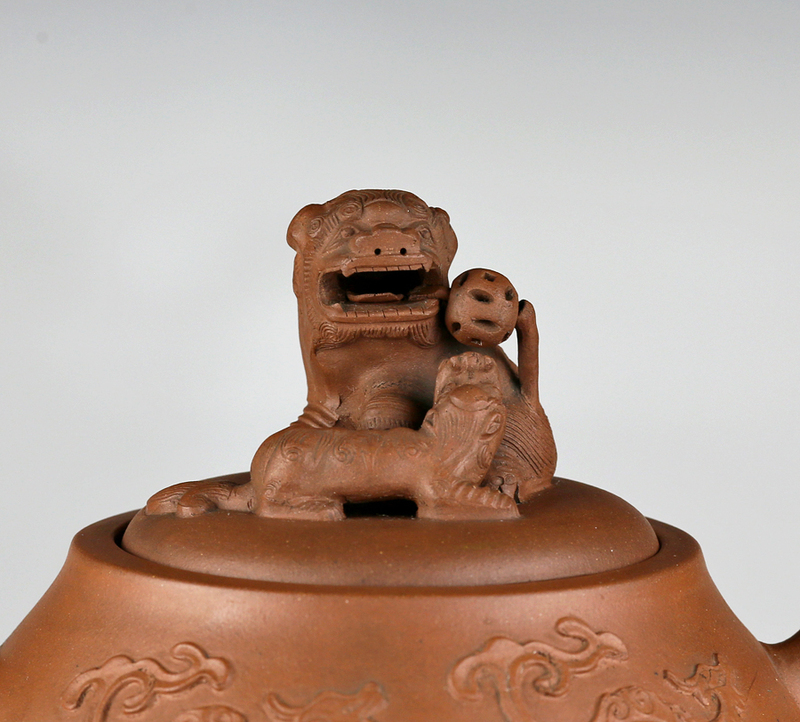 The pairing of two lions evokes a well-known Chinese motif called 太师少师 (taishi shaoshi), which is a reference to Zhou dynasty government positions. 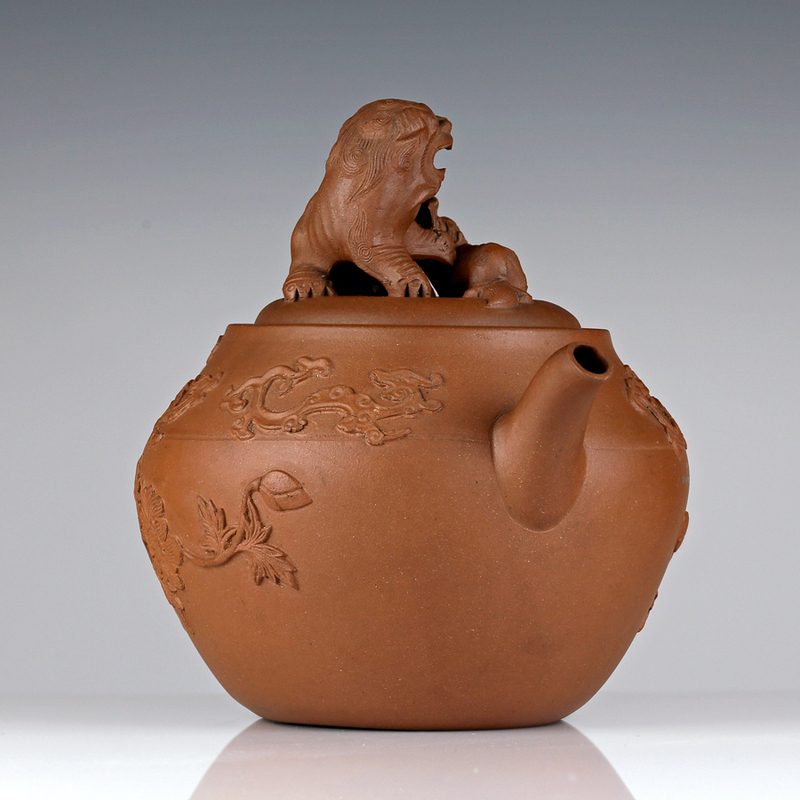 The Chinese character for lion, 狮 (shi), becomes a clever homonym for master, 师 (also shi).